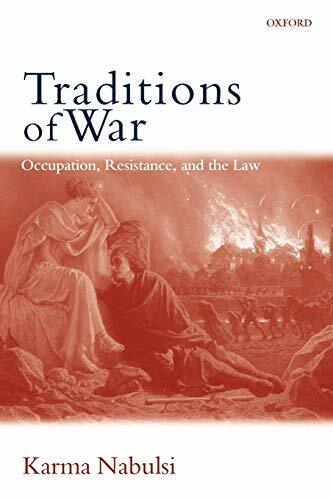 [PDF] Traditions of War: Occupation, Resistance and the Law | Free eBooks Download - EBOOKEE! Description: This book examines wars and military occupation and the ideas underlying them. It explores the laws of war, the body of rules which sought to regulate the practices of war, and those permitted to fight in war. The central challenge posed by the principle in the modern laws of war has been the distinction between lawful and unlawful combatants a distinction that has never been fully resolved. No comments for "[PDF] Traditions of War: Occupation, Resistance and the Law".